Marchionne said he plans to merge Chrysler with Fiat by 2015. DETROIT (Bloomberg) -- Fiat, which planning to merge with Chrysler Group, doesn't need access to its partner's cash, which currently has limits on its use, said Sergio Marchionne, who is CEO of both companies. "There will have to be no covenants on the debt structure that exists within Chrysler, and I think we have to get over 80 percent of Chrysler" ownership for Fiat, Marchionne told reporters Thursday at a press conference in Detroit. "I don't think Fiat needs it." Chrysler accepted restrictions on its cash when refinancing loans from the U.S. and Canadian governments. 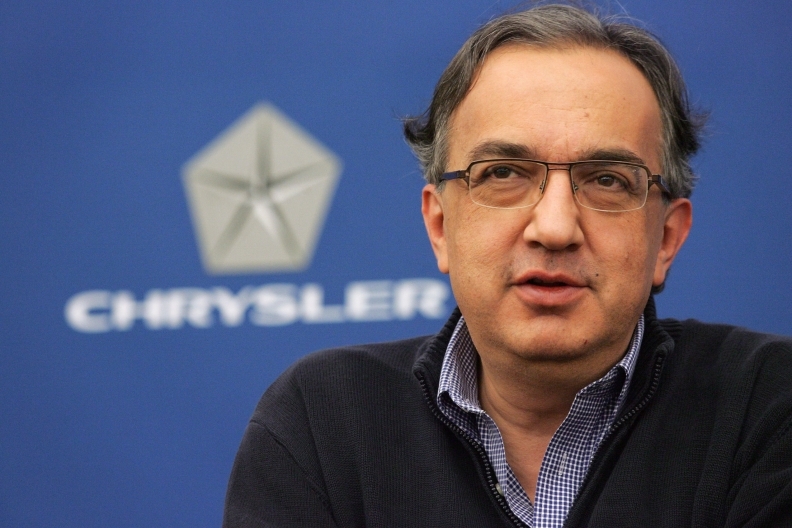 Marchionne, 60, has said he plans to merge Chrysler with Fiat by 2015. The ability of Fiat, which owns 58.5 percent of Chrysler, to buy the rest is limited by a turnaround plan that Fiat announced last month, Marchionne has said. Fiat is in a court dispute with Chrysler's minority shareholder regarding the price that it has to pay to boost its ownership to almost 62 percent. The United Auto Workers' retiree health-care trust has said Fiat must pay at least $342 million for the holding, more than double the $139.7 million that Fiat has said that it owes. Fiat sued Sept. 26 in Delaware Chancery Court to confirm the price that it has to pay. The voluntary employee beneficiary association, known as VEBA, responded in a Nov. 13 filing. "We read the agreement in a way; they read it in another," Marchionne said. "Let the judge decide." The court may rule on the matter by the end of the year, he said on Fiat's Oct. 30 quarterly conference call. As part of Chrysler's 2009 bankruptcy, Fiat was granted call options to purchase a portion of the VEBA's stake every six months beginning earlier this year through June 2016. The agreement covered 40 percent of the trust's holdings. Fiat reported 20 billion euros ($25.6 billion) of available liquidity at the end of the third quarter, down from 22.7 billion euros as of June 30. Fiat presented a plan last month to turn around its European operations, which are generating wider losses and caused the automaker to cut its 2014 profit goal by 31 percent to 5.2 billion euros. Other automakers in Europe, including PSA/Peugeot-Citroen, Ford Motor Co. and General Motors Co.'s Opel unit, also are struggling as industrywide vehicle sales in the region head for the biggest annual decline in 19 years. "If you look at the collective losses that we have, that Ford has, that GM has and that Peugeot has in the European arena, the correction is enough to choke a horse," Marchionne told reporters Thursday. "There's a point in time in which the cash runs out."